BLINEX FILTER COAT PVT LTD head office and Works is located in Mumbai , India. Commenced in the year 1975, along with the guidance of our MD and Chairman Mr Ratnapal D Dhami who is a high level Technocrat in the filed of Corrosion Protection and Filtration expertise in Chemistry Post-graduation with Business Administration and a Post Graduate in Polymer Technology from UK. As we present this scenario today, Mr. Ratnapal D Dhami made his strength multifactorial through his son joining the industry in the year 2003 with his enthusiasm and youthfulness. 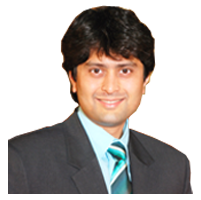 Mr Kirtan R Dhami has submitted 5 Technical paper Presentation in International Symposiums held in India and International Level and His articles have also been published in 9 Magazines Till now - 2 at American International Industrial Magazines viz Fastener Technology International and Wire Mesh International And 7 at Indian Industrial Magazines. BLINEX FILTER COAT PVT LTD has developed in 1978 for the first time in India launched the sintered porous plastics industry by developing polymer materials, a remarkable porous plastic filter for filtering of water, chemicals, air, controlled transfer of liquids also suitable for pneumatic air filter and silencer and Fluidized Sheets for Powder Fluidization . BLINEX FILTER COAT PVT LTD has 4 Divisions, the Fluoropolymer / PTFE Coating , PTFE /FEP/ PFA /ETFE Linings Division, Porous Plastic Filtration Division and Domestic Purifier Division.